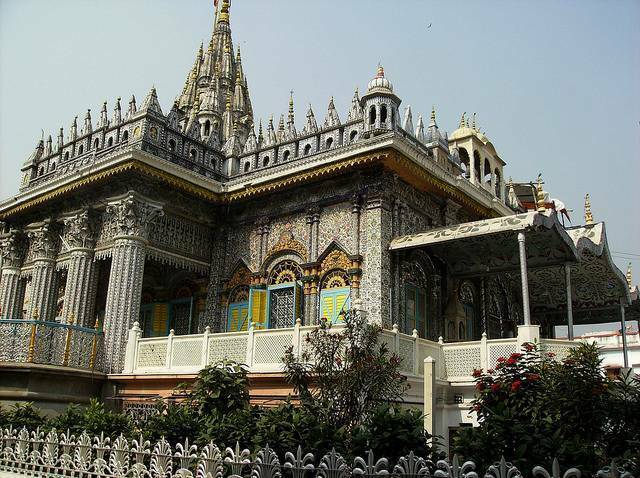 Calcutta Jain Temple or Pareshnath Jain temple is dedicated to 23rd Jain Thirthankara namely Pareshnath. The temple is established in 18th century. Jain Pilgrims from all over India throng this temple. The idol of Lord Shitalnathji is incarnated in the main sanctum sanctorum. The diamond studded crown of Shitalnathji’s idol entices the visitors. The main sanctum sanctorum has a ghee lamp which has stayed on continuously right from the establishment of the temple in 18th century. Beside Shitalnathji’s shrine, there are other three shrines dedicated to Chandrababuji, Mahavir Swami and Dadawadi. Visitors will be amazed by the mirror installed pillars, color stained windows and exquisite designs.